AKF is looking for a top-quality professional with unquestionable integrity to take on the role of Country Finance Manager (CFM). This position is part of AKFT’s core management team that would provide the successful candidate with an exciting opportunity to oversee and shape financial and grant management of the Foundation’s portfolio in Tanzania. The position is responsible for strategic and day to day management of the Finance functions for the Aga Khan Foundation, Tanzania. Do you have a Monitoring and Evaluation background? Are you experienced in the economic and agricultural development sector? Do you have a passion for project quality, donor compliance and delivery of impact to communities? Do you enjoy measuring change, capturing and sharing learning, project planning, report writing, and tracking progress of projects? Are you interested in putting these diverse skills and interests to use in an exciting new position supporting AKF’s economic inclusion portfolio comprising agricultural value chain development, micro-small and medium enterprise development, and financial inclusion with the aim of empowering women, youth and rural communities? If yes, then this position is for you. o Ensure the quality of required assessments, qualitative and quantitative studies and surveys and output monitoring to track progress of projects. o Provide technical supervision to M&E staff and mentor them, ensuring capacity building needs are met. • Centralise and manage grants and partner contracts. • Keep abreast of the economic landscape in Tanzania and trends in rural economic development, youth inclusion, women’s economic empowerment, innovation for financial inclusion, including government policy changes and development discourse. 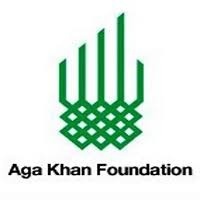 The position is responsible for strategic and day to day management of the Finance functions for the Aga Khan Foundation, Tanzania. Key Responsibilities include: Manage organisation’s assets and finances, legal risks, statutory and donor compliance, manage donor and statutory audits, oversee grant financial management and grant financial reporting and compliance to donors, provide financial information and analysis to management for strategic and day to day decision making to ensure compliance, efficiency and effectiveness in AKFT’s programs. Country Finance manager will manage the finance team in both Country office and field offices and act as a liaison to internal and external stakeholders. • Minimum of Bachelor’s Degree in Finance and or Accounting with five years in senior roles. Professional qualification – CPA or ACCA or CIMA will be an addended advantage. • Demonstrated experience of working with consortiums, international multilateral and bilateral donors is a must. • Work experience in an international development organization is desirable. • Demonstrated experience in the preparation and supervision of annual financial accounts. • Experience in preparation and supervision of both annual external audits, internal grant reviews and donor audits is a must. • Excellent organizational, inter-personal and communications skills. • Working knowledge of information technology and its applications in office settings. • Strong sense of responsibility, professionalism and thoroughness. Candidates interested in these career opportunity should submit the cover letter explain why are the best suited for the particular position, CV (Note exceeding 4 pages) and the names and contact information of 3 professional referees by 17th November 2018 to The Human Resources Manager, Aga Khan Foundation Tanzania, by email to [email protected]. Please mention the title of the position in your email and do not attach any document other than the CV and cover letter.